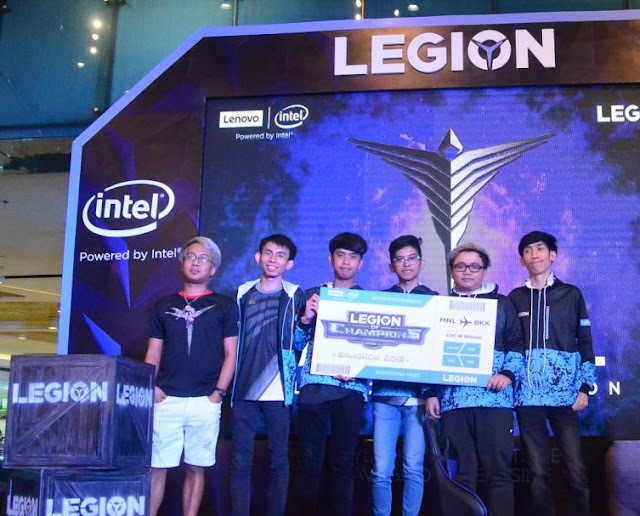 Lenovo has announced the kick-off of its Legion of Champions Series III (LoC III) Grand Finals. 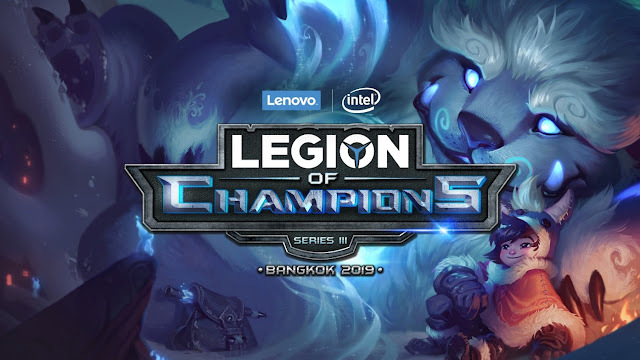 In partnership with Intel, this eSports tournament will bring together 12 LoL teams from 11 markets across Asia Pacific region, as they seek to be crowned 2019's LoC III champions. This year's tournament is the biggest one yet, including first-time competitors India, Japan and Korea, in addition to Hong Kong / Macau, Indonesia, Malaysia, the Philippines, Singapore, Taiwan, Thailand and Vietnam. After multiple elimination rounds at the local level, in-market winners will face-off in an intense international showdown at Central Plaza Ladprao, Bangkok, from 25 - 27 January 2019. "LoC is a testament to Lenovo's ongoing commitment to foster Asia's gaming community. With eSports' meteoric rise in legitimacy and influence in the region, our initiatives seek to further connect like-minded enthusiasts and empower the next generation of gamers," said Ken Wong, President, Lenovo Asia Pacific. "Lenovo Legion was designed with gamers' needs in mind and we will continue to provide the most exciting and relevant gaming experiences and devices." "With the rapid growth in eSports and gaming in Asia, Intel continues to support the industry through partnerships with the ecosystem, including global and regional gaming leagues such as Legion of Champions (LoC) with Lenovo, and provide the gaming community with the best-in-class gaming experience powered by Intel technologies," said George Chacko, Global Account Director for Lenovo, Asia Pacific and Japan. During the previous LoC (Legion of Champions Series II), which was held last year, the tournament welcomed participation from close to 7,000 gamers and 20,000 on-site attendees. Such events have become crucial and valuable moments for Lenovo to interact with the community and better understand their gaming needs and motivations. The evolution of Lenovo Legion has been driven by feedback from the gaming community itself, with its latest innovations offering purposeful design to match the needs of the modern avid gamer – stylish and sophisticated on the outside, yet savage on the inside, delivering supreme performance for work and play. "Competitive gaming has become a hallmark in the Asia Pacific region and we are happy to say that the LoC has become a major annual highlight that is wholly anticipated and supported by both gaming organizations and fans alike," said Michael Ngan, Lenovo Philippines Country General Manager. "We're proud to be part of our local teams' eSports journey by providing them a platform to enhance and hone their skills." Representing the Philippines in the LoC Grand Finals in Bangkok is ArkAngel, composed of Cedrik "Ivalice" Santos, Nickelson "Nickstah" Yanga, Robert Dan "Trebor" Mansilungan, Keefe Jyro "Zensho" Pascual, and Cristhoper Jordan "Raux" Pamintuan. The group topped the grueling five-round qualifying tournament that saw a total of 98 teams participating. At the end of the tournament, the winning team will walk away with USD$7,000 cash and USD$5,000 worth of Legion Y530 notebooks (total of 12,000 USD roughly P630,000), while the first and second runners-up will take home USD$3,000 (roughly P157,000) and USD$2,000 (roughly P105,000), respectively. The total combined prize pool of the entire Legion of Champions III tournament is USD$35,000 (approximately P1,900,000) – the largest of any LoC tournament yet. Spectators can expect to experience the grit and tenacity of the gamers as they grup band together to seize the championship title. Those who wish to be part of the excitement may also take part in the Rise of Legion walk-in tournaments, LAN party, and cosplay contests. Follow the epic journey at https://www.legionloc.com/.